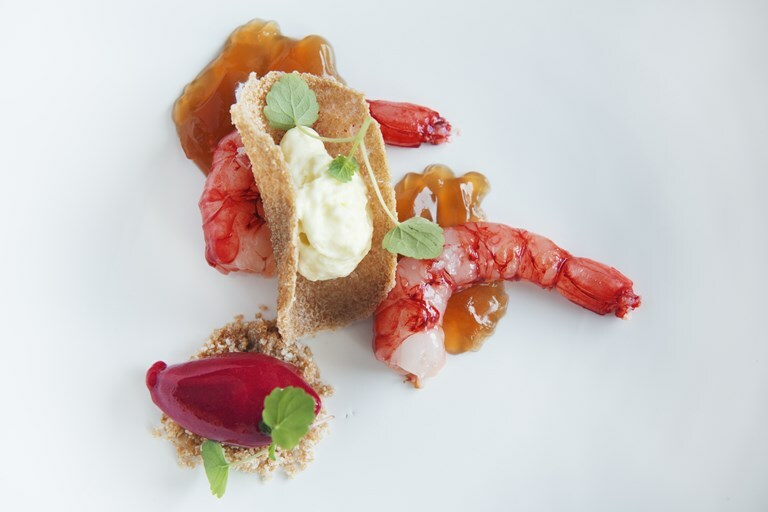 This elegant starter from Andrea Berton uses one of the Mediterranean's most prized ingredients – red prawns. Try and source Taggiasca olive oil if you can as this small Italian olive brings a mild, sweet fruitiness to the starter evocative of the sunnier climates in which it is grown. One of Milan's most decorated chefs, Andrea Berton is a role model for cooks across Italy thanks to his beautiful food, dedication to good ingredients and fierce work ethic.